If you’re anything like me, you can appreciate spiders from a distance, far from your home. I can admire those individuals who have no fear of arachnids, but I cannot tell you how many times a spider has fallen on me while sleeping, reading, walking into my garage, etc. Those brave souls who have no fear of eight-legged intruders will never know the anxiety felt each time you shake out a blanket before crawling into bed, or banging your shoe on the floor before putting it on, you know, just in case. Fortunately, for those of you like myself, there is hope. The more information we can gather about spiders, the less scary they seem. It’s beneficial to learn about the different types of spiders, spider identification and which are dangerous. You might be surprised to find out that they can even benefit us! There are many different kinds of spiders found in homes throughout the world. In America, two out of three households have spider infestations. For the most part they are considered harmless, unless provoked. If bitten, the venom is usually not damaging enough to cause us permanent harm. – Chiracanthium inclusum – is found worldwide. They are of little threat to humans and can be found taking refuge during cold months in your home. You may spot them hiding in self-made silken sacs in corners along the floor or along the wall which meets the ceiling. They are about ¼ inch long with a yellow/green coloration and a spherical body. – Badumna insignis – A.K.A. Grey House Spider – is found throughout Australia and New Zealand. Although the Black House Spider is venomous, it is not considered dangerous to humans. 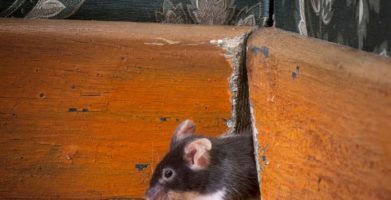 In your home, they can be found anywhere that their prey may be–corners, windows or near bright lights. These spiders are dark in color and can grow to 1 ¼ inch leg span. – Steatoda grossa – A.K.A. Cupboard Spider – is found worldwide. A bite from one of these can cause blistering, fever and muscle spasms for several days, but is not serious. They construct webs and depend mostly on vibrations due to lack of eyesight. A female Brown House Spider is very different in appearance from the male in that she has a wide, circular body, dark in color and is regularly mistaken for the Black Widow. The female reaches 6-10 mm in length, while the male gets 4-10mm in length and is thinner than its counterpart. – Tegenaria domestica – A.K.A. Barn Weaver – is found worldwide. They are of no harm to humans and build their webs around window sills or corners. They prefer dark areas as they are sensitive to light. Domestic House Spiders have long bodies that are flattened and straight. Females range from 7.5-11.5 mm and males from 6-9 mm in length. – Tegenaria agrestis – A.K.A. Aggressive House Spider – is found worldwide. The bite from a Hobo Spider has often been mistaken for the bite of the deadly Brown Recluse, which has given the Hobo Spider a bad reputation for being aggressive and dangerous. They will enter your home only if there is no threat to them from other spiders. The Hobo Spider is a light brown, narrow bodied spider measuring anywhere from 11-14 mm. – Pholcus phalangioides – A.K.A. Daddy Long Legs – is found in most of the world. Because they cannot survive in colder climates, they will seek out your house in colder regions. There is a long running myth about the bite and venom of a Daddy Long Legs that they are the most venomous spiders in the world, but do not have long enough fangs to penetrate human skin. Both claims have been disproven. A bite from this spider will cause mild burning and the venom has been proven to be harmless to humans and small animals. The body of this spider is small and oval in shape, tan in color, and its legs can measure up to 4 inches long. – Parasteatoda tepidariorum – A.K.A. American House Spider – is found worldwide and is the most commonly seen spider in homes. They are no threat to humans and will normally let your hand approach them. They can be found weaving webs under window sills and in wall corners. Common House Spiders are a dull brown in color and the average body size is 6 mm long and can measure longer than an inch with leg span. There are many benefits that spiders provide to your home, the environment, and the ecosystem as a whole, doing us all a favor—really. 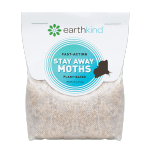 They eat common indoor pests such as roaches, mosquitoes, flies, fleas, moths and bed bugs! Because of their eating habits, spiders help prevent disease that can be spread by these pests. They eat bugs and other pests that are extremely harmful to our croplands—in fact, spider expert Norman Platnick says there would be a famine without spiders controlling the insect population. Spider venom has become valuable in medical studies. Scientific tests have shown potential in neurological disorders, epileptic seizures, strokes, pain control and erectile dysfunction with the use of certain spider venom. 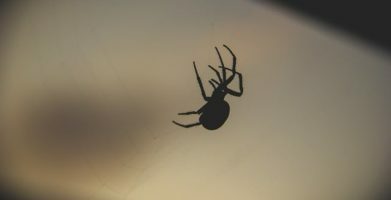 Understanding more about the type of spider you’re dealing with can help with getting rid of your spider problem and preventing them from returning to your home. – Vacuuming up dust bunnies, old cobwebs, and wiping up dusty areas will eliminate the risk of bugs and pests, thus eliminating the risk of spiders. No food supply, no predator. The spiders will have no need to come around—unless seeking warmth. – By sealing up any openings that can pose a potential entry for spiders, you will prevent them from gaining entrance. Cracks in foundations, doors, windows, etc. provide an easy access into your home. 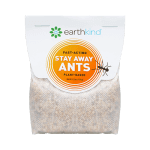 – Protect your home with the pleasant scent of Stay Away® Spiders. Not only will you enjoy the air-freshener-like scent, you will prevent your inside property from a spider infestation. The legs of a spider are highly sensitive and are used for hearing, feeling, and smelling. The ingredients found in Stay Away Spiders interferes with these and disrupts it’s senses causing it to run for the hills—or just back outside. The combined scent of citronella, lemongrass, and rosemary also help repel various types of prey, leaving your home pest free. Needed this for an essay thanks! I left a few black widows alone that I found around the house. Is that ok? We do not recommend allowing black widows to roam around your home. 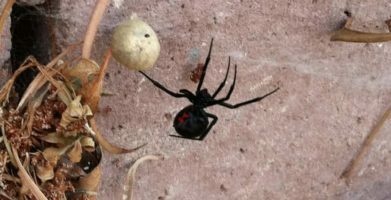 While we favor repelling spiders over killing them, black widows merit extra caution since an adult female widow does have a venomous bite. 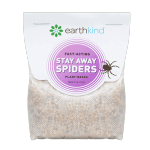 EarthKind’s Stay Away Spiders uses the scent of botanical oils to repel spiders and the insects they eat. Since spiders (and their prey) rely on scent cues to find food, identify potential mates and detect danger, they will avoid areas treated with Stay Away. Pest activity should decrease in treated areas within 24 hours after placing the repellent pouches, eventually causing spiders to stay away from the area altogether. Putting a spider with a praying mantis certainly sounds like one form of natural pest control! Still have no idea as to what kind of spiders are in my home; but I now know how to possibly prevent them. Spider identification can be tricky! We’d love to see pictures if you have any, share with us on Facebook or Instagram by tagging @earthkindinc. How interesting! Perhaps a local Ag Extension office could help you identify the spider? Thanks for reading! The “Daddy Long Legs” is actually what belongs to the Order Opiliones, not Aranae. It is not a spider, but rather a harvestmen. 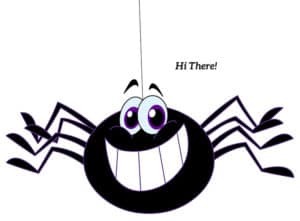 One of the best ways to tell is by looking at the body and realizing that it does not have any sort of separation between the body as a true arachnid does. A harvestmen just has one “body”. However, the Pholcus phalangioides, or Longbodied cellar spider, or Skull Spider, is in fact an arachnid. Great info, thanks for the comment! If you’re anything like me, you can appreciate spiders from a distance, far from your home. I can admire those individuals who have no fear of arachnids, but I cannot tell you how many times a spider has fallen on me while sleeping, reading, walking into my garage, etc. Fortunately, for those of you like myself, there is hope. The more information we can gather about spiders, the less scary they seem. It's beneficial to learn about the different types of spiders, spider identification and which are dangerous. You might be surprised to find out that they can even benefit us! There are many different kinds of spiders found in homes throughout the world. In America, two out of three households have spider infestations. For the most part they are considered harmless, unless provoked. If bitten, the venom is usually not damaging enough to cause us permanent harm. - Chiracanthium inclusum - is found worldwide. They are of little threat to humans and can be found taking refuge during cold months in your home. You may spot them hiding in self-made silken sacs in corners along the floor or along the wall which meets the ceiling. They are about ¼ inch long with a yellow/green coloration and a spherical body. - Badumna insignis - A.K.A. Grey House Spider - is found throughout Australia and New Zealand. Although the Black House Spider is venomous, it is not considered dangerous to humans. In your home, they can be found anywhere that their prey may be--corners, windows or near bright lights. These spiders are dark in color and can grow to 1 ¼ inch leg span. - Steatoda grossa - A.K.A. Cupboard Spider - is found worldwide. A bite from one of these can cause blistering, fever and muscle spasms for several days, but is not serious. They construct webs and depend mostly on vibrations due to lack of eyesight. A female Brown House Spider is very different in appearance from the male in that she has a wide, circular body, dark in color and is regularly mistaken for the Black Widow. The female reaches 6-10 mm in length, while the male gets 4-10mm in length and is thinner than its counterpart. - Tegenaria domestica - A.K.A. Barn Weaver - is found worldwide. They are of no harm to humans and build their webs around window sills or corners. They prefer dark areas as they are sensitive to light. Domestic House Spiders have long bodies that are flattened and straight. Females range from 7.5-11.5 mm and males from 6-9 mm in length. - Tegenaria agrestis - A.K.A. Aggressive House Spider - is found worldwide. The bite from a Hobo Spider has often been mistaken for the bite of the deadly Brown Recluse, which has given the Hobo Spider a bad reputation for being aggressive and dangerous. They will enter your home only if there is no threat to them from other spiders. The Hobo Spider is a light brown, narrow bodied spider measuring anywhere from 11-14 mm. - Pholcus phalangioides - A.K.A. Daddy Long Legs - is found in most of the world. Because they cannot survive in colder climates, they will seek out your house in colder regions. There is a long running myth about the bite and venom of a Daddy Long Legs that they are the most venomous spiders in the world, but do not have long enough fangs to penetrate human skin. Both claims have been disproven. A bite from this spider will cause mild burning and the venom has been proven to be harmless to humans and small animals. The body of this spider is small and oval in shape, tan in color, and its legs can measure up to 4 inches long. - Parasteatoda tepidariorum - A.K.A. American House Spider - is found worldwide and is the most commonly seen spider in homes. They are no threat to humans and will normally let your hand approach them. They can be found weaving webs under window sills and in wall corners. Common House Spiders are a dull brown in color and the average body size is 6 mm long and can measure longer than an inch with leg span. Understanding more about the type of spider you’re dealing with can help with getting rid of your spider problem and preventing them from returning to your home. 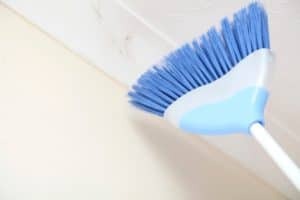 - Vacuuming up dust bunnies, old cobwebs, and wiping up dusty areas will eliminate the risk of bugs and pests, thus eliminating the risk of spiders. No food supply, no predator. The spiders will have no need to come around—unless seeking warmth. - By sealing up any openings that can pose a potential entry for spiders, you will prevent them from gaining entrance. Cracks in foundations, doors, windows, etc. provide an easy access into your home. - Protect your home with the pleasant scent of Stay Away® Spiders. Not only will you enjoy the air-freshener-like scent, you will prevent your inside property from a spider infestation. The legs of a spider are highly sensitive and are used for hearing, feeling, and smelling. The ingredients found in Stay Away Spiders interferes with these and disrupts it's senses causing it to run for the hills—or just back outside. The combined scent of citronella, lemongrass, and rosemary also help repel various types of prey, leaving your home pest free. string(44) "Common House Spiders: Identification & Facts"